Projects start with requirements but must be built on more than expectations. Hence the need of sound assessments setting apart the problem to be solved and the alternative solutions, if any. Yet, those assessments are meant to be done upfront, prior any significant effort is committed to analysis and design; and that would be easier with a clear-cut distinction between business and systems requirements, and more generally between enterprise and functional architectures. Taking a leaf from the MDA book, the objective here is to consider how to redefine function points with regard to computing and platform independent models (respectively CIMs and PIMs). In principle, software metrics must deal with a double target: the problem and the solution. That distinction is both straightforward and necessary as requirements may have to be ranked with regard to business value, and alternative solutions assessed with regard to effectiveness and engineering concerns. Moreover, measurements should target the intrinsic size and complexity of problems and solutions independently of development effort. While some advances have been achieved with functions points, practical solutions usually rely on personal expertise (for the assessment of raw function points) and statistical inferences covering the whole development process (for the adjustment). The first objective is therefore to replace coarse rankings (low, average, high) with clear, objective and traceable variables, and to compile samples of their relative weight. Internal Logical files (ILFs) are symbolic objects whose life-cycle is bound to applications using them. They are computed at application level. External Interface Files (EIFs) are symbolic objects used or referenced by the application yet whose life-cycle is managed independently. They must be consolidated into persistent objects and associated function points computed at domain level. 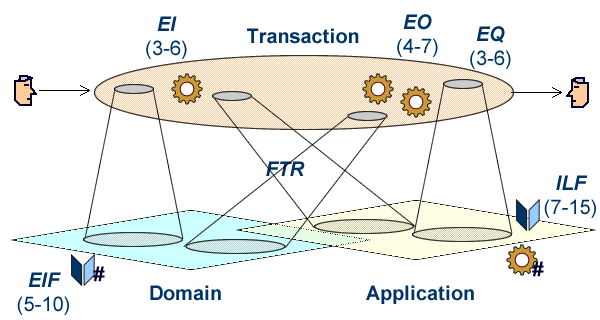 External Inputs (EIs) are local (non shared) activities processing information from outside application boundaries. 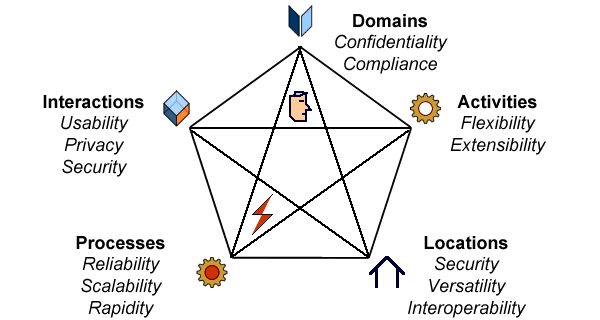 External Outputs (EOs) are local (non shared) activities providing derived information outside application boundaries. External Inquiries (EQs) are local (non shared) activities providing non derived information outside application boundaries. Those five functions are valued along three levels (low, average, and high) depending on the number of features, structures (for data), and referenced file types (for transactions). Estimations are not much more than informed guesses that can be disproportionately affected by business, organizational, or technical context. Whatever estimations accuracy, function points, including for transactions, are based on data size and complexity, overlooking other dimensions whose impact is lumped together as adjustment variables. Yet, those flaws can be curtailed by using objective parameters for business, functional, and non functional requirements. If objective measurements are to replace informed guesses, function points must be based on stable and unbiased parameters that will not depend on methodological or design options. To begin with, requirements should be bound to artifacts identified within the enterprise architecture: business objects, activities, or roles. Since those anchors are not supposed to be significantly affected by requirements analysis, they provide a solid ground for further refinement. The next step is to take into account the features, variants, and dependencies of those identified units. While that step clearly belongs to requirements analysis, it can be done in a limited amount of time if the focus is on clearly defined constructs. Complexity measures: size, structure, coupling, and variants. Estimations are anchored to artifacts identified at architecture level (#). The number of data element types (DET) is the sum of features (attributes and operations) for the target and its composites. The number of record element types (RET) is the sum of composites and aggregates accessible from the target. The level of coupling is the number of links (connectors and containment) with functional integrity constraints (structural ones are taken into account by aggregates and composites). The number of variants is the sum of subsets defined by partitions. And those measures can be applied indifferently to different kinds of artifacts, objects or behaviors. Interactions (Who): symbolic (roles) and non symbolic (devices) interfaces. 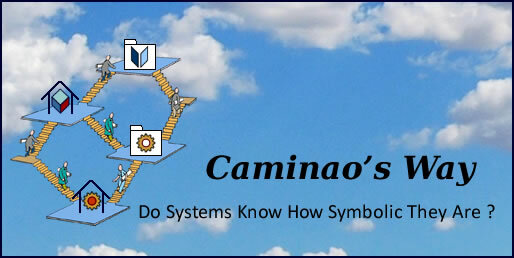 Domains (What): persistence and access to symbolic representations. Locations (Where): distribution of uses and resources. Processes control (When): events management and level of service. Locations: coupling (channels), locations with active objects, distributed storage, distributed access, real-time connections, distributed processing, distributed control. Active objects: real-time updates on status, authentication, real-time synchronization, complexity of data processing, complexity of control. 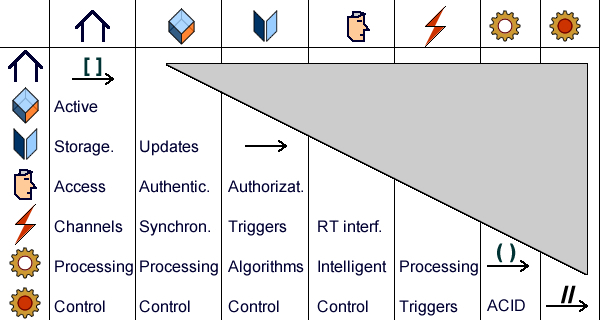 Symbolic objects: coupling (references), authorizations, triggers (cascading updates), complexity of algorithms, knowledge based control. Actors: real-time constraints on interactions, complexity of interactions contents, complexity of interactions control. Events: complexity of events processing, triggers (cascading events). 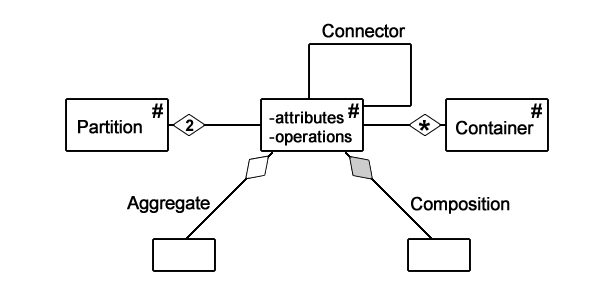 Business logic: coupling (data and control flows), synchronization of operations (ACID). Process execution: coupling (state transitions). 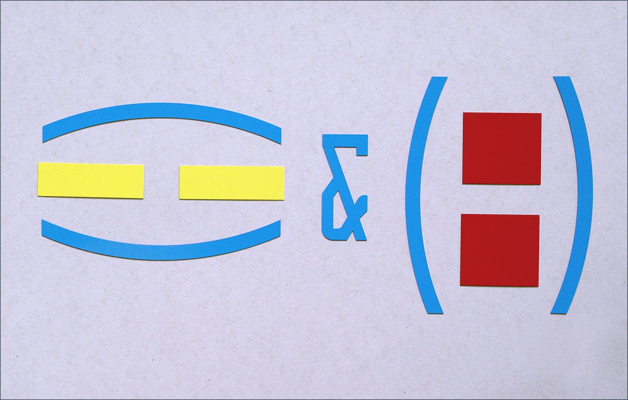 Those 25 ( (7*6)/2+4) characteristics can then be weighted like the original 14 ones on a scale from 0 (low) to 5 (high). Function points for business domains (DFP) will have to be adjusted for cross integrity constraints. 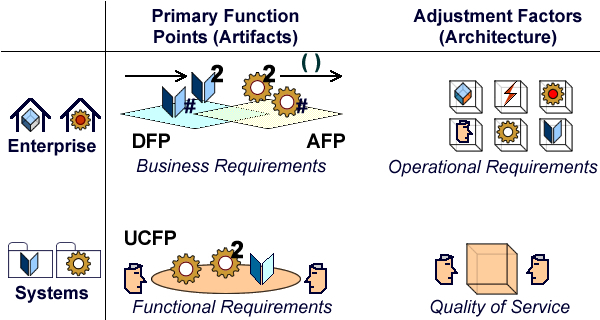 With regard to application logic (independently of processes execution), adjustment of function points (AFP) will take into account targeted domains and constraints on flows. 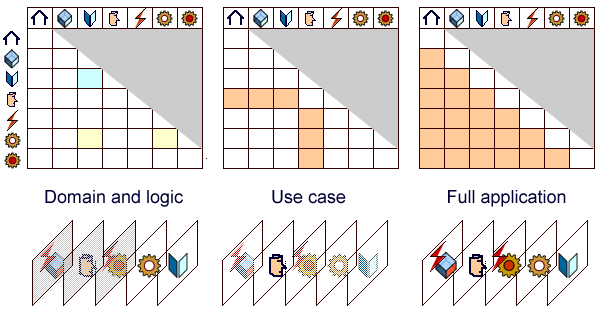 Use case function points (UCFP) will be adjusted for location, active objects (other than users or systems), domains, application logic, and control. Function points for full application will be adjusted for all aspects.